Pointon Partners is proud to announce that The Legal 500 has ranked the firm in the “Top 5” legal firms in Australia in Real Estate for the 2018 year. The firm has also been recognised as a “Leading Firm” for the 2018 year. 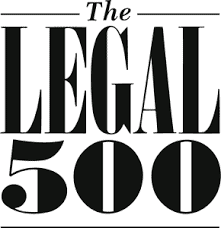 The Legal 500 is widely acknowledged as the world’s largest legal firm referral guide that ranks firms based on extensive industry research and client feedback. Pointon Partners Lawyers is the only boutique firm in the 2018 rankings list, which includes mostly larger top tier national and multinational firms. This result helps to highlight Pointon Partners’ reputation for offering the expertise and experience of a large firm in a dedicated and personalised way that can only be offered by a smaller boutique firm. As part of the 2018 judging process, The Legal 500 obtained feedback from over 250,000 clients. They also obtained information about the firms, as well as property deals/matters they were involved in in the last 12 months, which were independently assessed/verified by Legal 500 researchers. We would like to thank those clients who were involved in The Legal 500 interview process and congratulate our property team for receiving this recognition.